The camera makers are fighting a battle against smart phones: People want to be able to share their pictures on social media, and this is very easy with the smart phone camera. To increase the connectivity of cameras, Wifi has become a must have feature. And it does make it more easy to share your pictures with a connected device. But Wifi also allows you to remotely control the camera, which is a very cool feature. Here is an example where I used it to take close up pictures of birds. 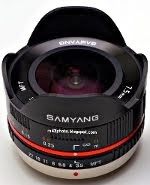 I used the Lumix GH4 with the Samyang 7.5mm f/3.5 fisheye lens (click for my reviews). I later experienced that transparent plastic appears to scare off the birds. So I was much better off using a green coloured, non-transparent bag. To get good exposures of pigeons getting close to the camera, I set the focus to about 0.15m, and for a generous depth of focus, I used f/8. The birds were a bit scared by the sound of the mechanical shutter, so perhaps it is a good idea to use the electronic shutter option. You can also use the remote feature to start and stop video recording. Sadly, the range is somewhat limited with the remote operation mode, about 10m. The Wifi feature does not only allow you to share your pictures more easily on social media, it also gives you more creative potential. Using the remote control feature is fun, and opens up many new possibilities. Sure, you could use a third party remote control. But that means carrying another item, and it takes time to set up. Besides, you cannot remotely view the camera output. Wifi is not just a gimmick, it is a feature that gives you a true increase of the creative potential. Some also like to use this feature for street photography, by having the camera around your neck, while using the smart phone to frame and shoot pictures without anyone noticing it.